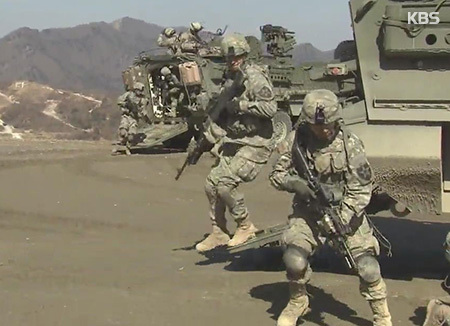 The defense ministries of South Korea and the U.S. have confirmed that the number of U.S. troops stationed in South Korea remains unchanged at about 28-thousand-500 after comments by President Donald Trump that suggested a different figure. Asked by Voice of America to comment on some news reports, saying the troop level has increased to 32-thousand, Pentagon spokesman Christopher Logan said Saturday the official number of U.S. Forces Korea troops is still at 28-thousand-500. But the spokesman added the size can fluctuate depending on drills and other circumstances. 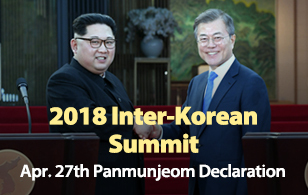 The Defense Ministry in Seoul also issued a statement, saying the U.S troop level remains unchanged and this has been periodically confirmed through joint statements by the Korea-U.S. security consultative meeting(SCM). The ministry added that troop figures, however, can change temporarily due to rotational deployment, war games and other reasons. There has been speculation about a change in the troop size after Trump gave a speech in Ohio last month when he said that 32-thousand American troops were protecting South Korea.